We are a motorcycle club whose goal is to support northern Illinois Ducati owners and promote the Ducati brand. The club provides a great way to get to know and bond with other Ducatisti who have the same passion for Ducati and motorcycling. We as a group organize long and short distance rides, track days, charity events, weekly hangouts, and family fun events where we network and discuss anything to everything Ducati. 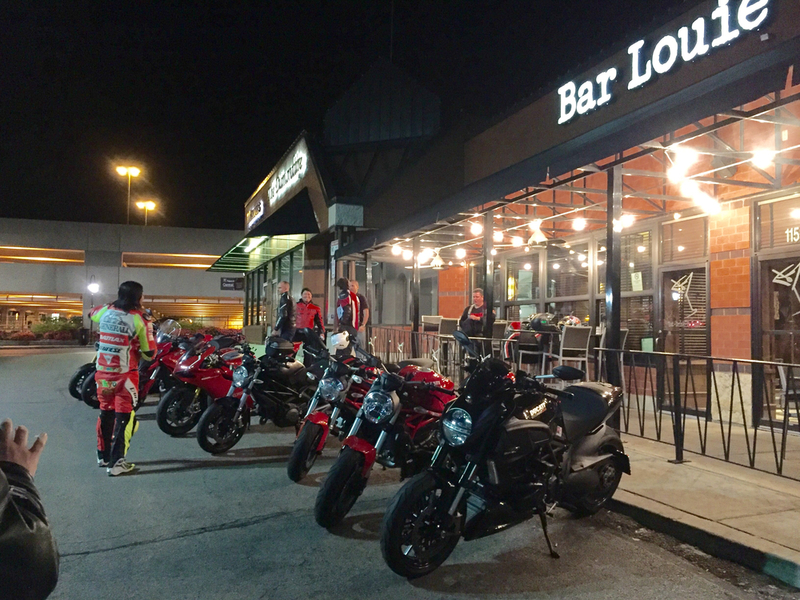 We network with other Ducati clubs near and far to share ideas and host each other. All models of Ducati motorcycles are welcome to participate in our club. The basis of this group is to harness, nurture, and promote our passion for riding and racing Ducatis. Join and be part of our fun family! Our club's geographic reach is from the city of Chicago out to Chicagoland suburbs and as far as Rockford IL, southern Wisconsin, and northwest Indiana. Club meets alternate between downtown Chicago and suburban locations such as Schaumburg, Evanston, and Oak Brook. The club has over 100 members. All logos are trademarks of their respective owners and cannot be used without written permission. All photos belong to members of the DRILL club and subject to any and all applicable copyrights.